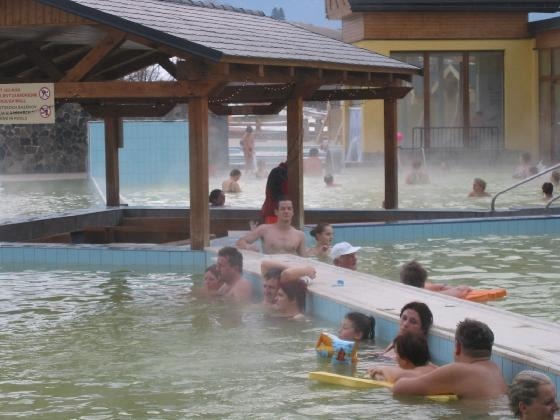 Slovakia: Thermal Bath in the mountains! 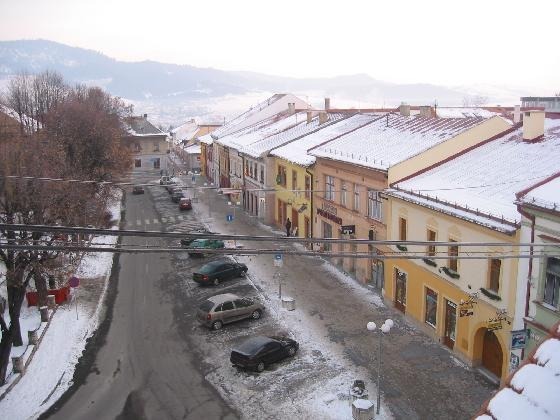 The first time I went to Slovakia ( actually in Trnava) the country was still Ceskoslovensko (Czechoslovakia) and I stayed at my close lady friend's Soviet looking flat. 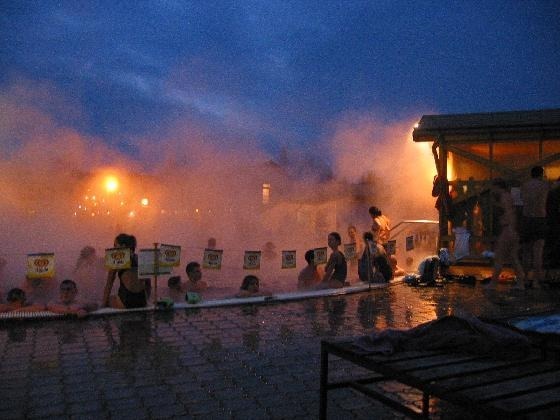 Besenova is a thermal bath town where the thermal water was brown coloured with an equally brown taste! This is a wonderful warm water which is good for many ailments. It was more like a social centre for mostly Poles and for people in East & central Europe. I saw cars with licence plates from Latvia and Romania and Russia as well as Czech and Polish and Slovak. The waters were really relaxing and large. There were two big pools, one pool was refreshingly cool and the other was comfortably hot. I felt great leaving at the end of the day, especially after having a very cheap local Slovak beer being sold at the pub at the edge of the pool! Food was sold there too but I didn't have any. My friend and I maximised our budget by staying in youth hostels (again full of Polish skiiers) and eating at local food places! The food served at our table was delicious and nostalgic! There was of course plenty of local beer! The infrastructure still felt like it did during the Socialist years, and the staff at hotels (with socialist looking decor and architecture) were a bit surly as if I were bothering their precious moments of putting on make-up on their faces. The small villages and roadside shrines to Christ as well as the local churches were special and I remember them clearly. The mountains in the background were breathtaking! I will certainly go for a soak in that part of Slovakia again! This is me enjoying with all the other soakers!